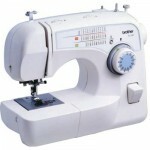 Brother is another popular brand that makes many types of sewing machines. They make a machine for pretty much every need and price level. These are our top-rated selections from this brand, all would be a great options for home use and have many happy owners. Read our reviews to learn about the positives and negatives of each model. We also cover the important features that you need to know about. 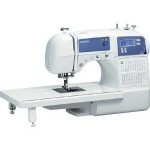 Review: Brother XR9000 Sewing Machine- Most people own one, maybe two sewing machines during their entire life. That means, you want to choose one that has all of the features you need. 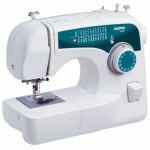 Whether you've been sewing for decades or just recently started, having the right machine is crucial. Review: Brother CP-7500 Computerized Sewing Machine- If you've been comparing the top sewing machines available today, you've probably noticed that the best models have a lot of cool, built-in functionality. 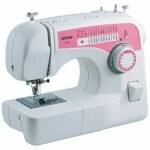 You can find computerized sewing machines with LCD screens, built-in stitch patterns and a whole lot more. 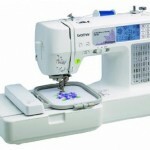 Review: Brother SE400 Computerized Embroidery & Sewing Machine- If you've ever wanted the ability to not only sew, but also do embroidery, your options used to be limited. You either purchased an expensive embroidery machine or tried to do without and struggled through embroidery with a standard sewing machine. 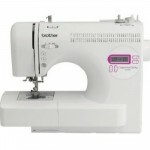 Review: Brother ES2000 77-Stitch Computerized Sewing Machine- Just in case you needed proof that we are fully living in the digital age, there are now sewing machines that are fully computerized to make once difficult sewing tasks easy as can be. 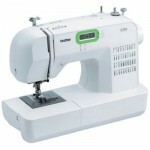 A perfect example of this meeting of sewing machines and digital technology is the Brother ES2000 77 Stitch Function Computerized Free-Arm Sewing Machine. Review: Brother XL2610 Sewing Machine- It's not unusual to go years and years without having to buy a new sewing machine, especially when you buy from one of the top manufacturers, like Brother. If it's been a while since you've scoped out the latest sewing machines available, you might be pretty surprised to see how they have advanced over the years. 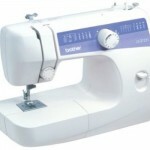 Review: Brother XL-3750 Convertible 35-Stitch Sewing Machine- When it comes to buying a sewing machine, these days there are some pretty impressive models available. With digital features, automatic functions and all kinds of other options, today's sewing machines have certainly come a long way. Review: Brother LS2125I Easy-To-Use 10-Stitch Sewing Machine- If you're looking for a basic, affordable sewing machine, you might feel overwhelmed by all of the fancy, high-priced sewing machines that are commonly advertised. The Brother LS2125I Easy-To-Use Lightweight Basic 10-Stitch Sewing Machine, on the other hand, gives you solid performance at a price that's hard to beat. Review: Brother XL2600I 25-Stitch Free-Arm Sewing Machine- It's not often that you find an affordable sewing machine that's affordable for virtually everyone. 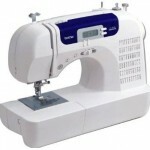 That's why it was shocking when we discovered the Brother XL2600I Sew Advance Sew Affordable 25-Stitch Free-Arm Sewing Machine. It's well known that Brother makes some high quality sewing machines, but this one even has “Affordable” in the name. Review: Brother CS6000I 60-Stitch Computerized Sewing Machine- Brother is a company that's known for building sewing machines that are built to stand the test of time, and their Brother CS6000I Sew Advance Sew Affordable 60-Stitch Computerized Free-Arm Sewing Machine is being touted as one that not only lasts for years, but offers superior performance that lasts a lifetime.